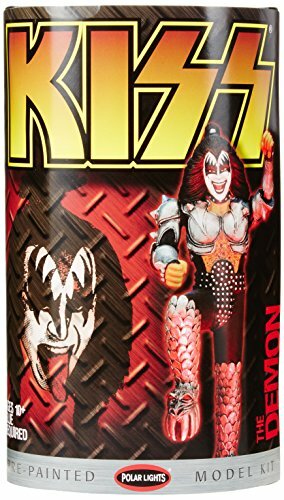 KISS Destroyer! 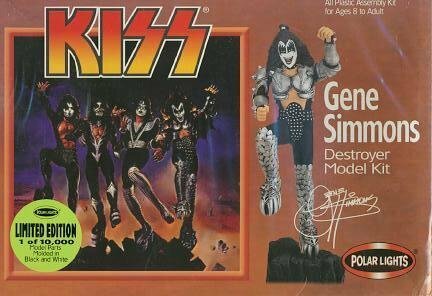 ;Gene Simmons Model Kit! They are one of the most iconic rock and roll bands of all time - KISS. The four member band have been pioneers of rock drawing huge crowds to their sold out stadium shows for decades. 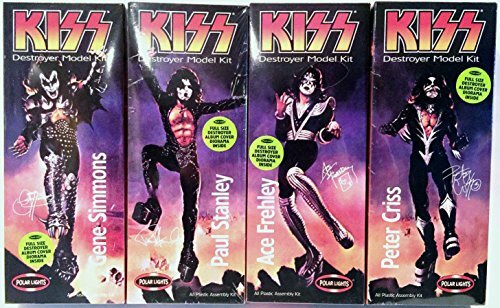 This lineup of kits is based on the artwork from their first certified platinum album, Destroyer. 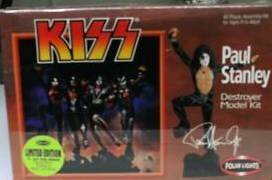 The first kit in the line features Gene Simmons. Each figure stands atop its own rocky base that joins with the others in the line. This easy to assemble kit comes pre-painted to allow even novice modelers to create a quality look. Glue assembly required. The kits are approximately 1:10 scale and measure 10-inches tall when assembled. Includes pre-painted parts and bonus poster. Skill level 2. 30 minute assembly time. Ages 10 and up. Order yours today! 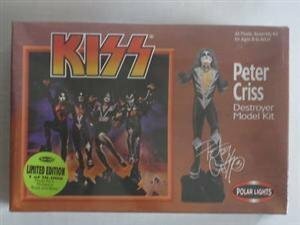 Originaly released by Aurora model kits in the 1970's now available from Polar Lights,each kit when constructed/painted made up the famous KISS 'Destroyer' album cover. 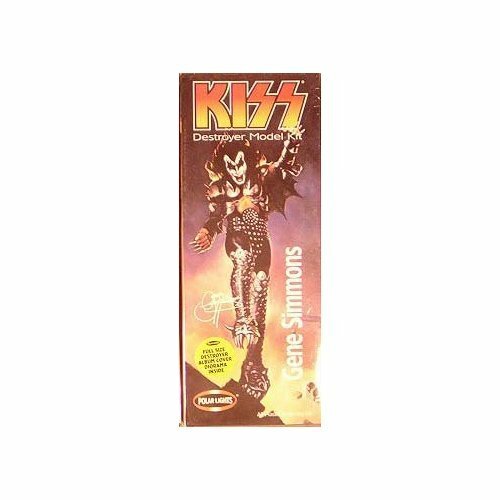 Compare prices on Kiss Destroyer Model Kit at ShoppinGent.com – use promo codes and coupons for best offers and deals. Start smart buying with ShoppinGent.com right now and choose your golden price on every purchase.